The protection Armortek offers doesn't stop when you step out of your vehicle. We're committed to protecting your personal safety, both inside and outside of the armored vehicles we manufacture. First, we start by tailoring each vehicle to match the specific needs of each customer. Next, we offer several products and features you can choose from to get exactly the type of protection you want and need. We can also install a special hidden compartment to store other personal safety items like a stun gun. Personal Safety / Armor Products "We equip your vehicle with the necessities to escape dangerous situations, while also keeping you prepared for a variety of on-the-road emergencies." Our armored vehicles are designed to protect you from several levels of ballistic threats. Depending on the type of threats you face, you may want to take this type of protection with you when you leave the vehicle. We offer bullet-resistant vests and body armor for military personnel, law-enforcement officers, hunting professionals and other interested customers. Bullet-resistant purses and bags are designed to stylishly conceal light-weight ballistic protection. These bags are a low-profile option for portable bullet-resistant armor. They include plenty of pockets and storage room, making them a practical as well as safer alternative to your typical bag. 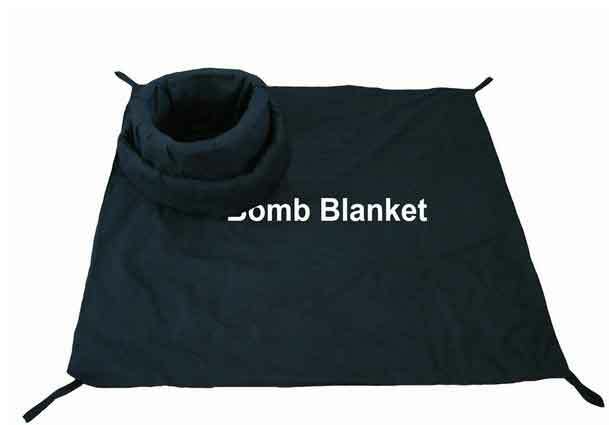 Bomb protection blankets can be installed as part of the vehicle to offer enhanced bomb and grenade protection, and we offer portable bomb blankets as well. These blankets are used to reduce the impact and lessen shrapnel from explosive devices. Just in case something goes wrong on the road, we want to make sure you're prepared for an emergency. We can install an emergency road repair kit to help you get a damaged or broken-down vehicle back on the road, as well as a five-pound ABC fire extinguisher for dealing with any fires that start in spite of the protective armor around the engine. For health-related emergencies, we offer a well-stocked first-aid kit and an emergency oxygen supply. It's best to be prepared for every form of emergency, even with the vehicle armor to protect you from harm. Having a first-aid kit on hand also prepares you for helping other people who may have been injured in an attack on or around your vehicle.